On June 6, 1944, American and British troops staged the greatest amphibious landing in history to begin Operation Overlord, the battle to liberate Europe from the Third Reich. In this visceral 1984 history, the Pritzker Literature Award-winning author of Inferno: The World at Warreveals the terrible human cost that this battle exacted. 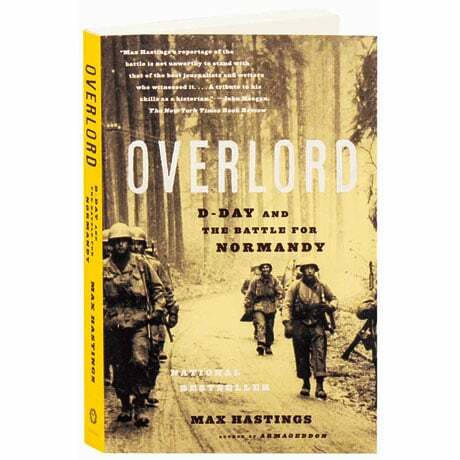 Moving beyond D-Day and the storming of Omaha Beach, Max Hastings also chronicles the Allies' push inward, with many British and American infantry units suffering near 100 percent casualties during the course of the summer. The book's appendices include a glossary, a chronology of D-Day, the Allied order of battle, and a list of German land forces in the region.